If you are tried of having to get out the lint roller after doing a load of wash; try something new. This is a guide about preventing lint on clothing. This really helps cut down on lint and pet hair on clothes! Get some "netting" at a sewing shop, I found mine in the wedding section. Cut it into 6x6 inch squares, and toss one in the washer and a fresh one in the dryer, and bingo! It catches pet hair and lint. To remove lint from clothes, put in little white vinegar in the wash. Lint will not stick to the clothes as much. Want to wash your fleece without getting lint all over it? Wash it alone in cold water. May combine two pieces. White vinegar poured into your rinse cycle in your washing machine will help eliminate lint from the laundry. Since lint is highly contagious, remove it before you put a garment in the closet. No clothing brush? Wrap a strip of masking or cellophane tape around your hand, adhesive side out, and move it across the garment. Or use a damp sponge. You'll find that lint is much easier to remove with a damp clothes brush than with a dry one. To remove lint from velvet, a clean sponge powder puff works well; on wool use a dry cellulose sponge. How do I keep lint off my black polo shirt when I wash a small load of clothes? I turn every thing that is a dark color inside -out before putting it in the washing machine, I find that this keeps lint from clinging to the item. Wash with other dark colors. Dont include fuzzy fabrics, or anything that will shed. I have a LG top loader washing machine. It is an I sensor, invertor, direct drive 9.5kg, wt-h950 model. Every wash comes out full of lint. I do clean the lint holder each wash and have tried more water than recommended. It is ruining my clothes. Can someone please give me some advice? Try adding 1 cup white vinegar to the wash load's rinse cycle. This really seems to cut down on lint. Also, if the lint holder is removable, take it to a sink and run water through it. If the water does not flow freely through it, it may be blocked with fabric softener residue, if you use fabric softener in the washer. If it is blocked, scrub with hot water and detergent until the water flows freely. It will then catch much more lint. If this turns out to be the case, clean it every couple of months. And turn all clothes inside out, and there will be less lint, and it will be out of sight. Hmmmmm something is coming off of something when you dry your clothes. Are you washing and drying towels with your sweaters? Did a sock get in with the wash? Or tissues? I wash and dry all my black clothes together, nothing else with them. 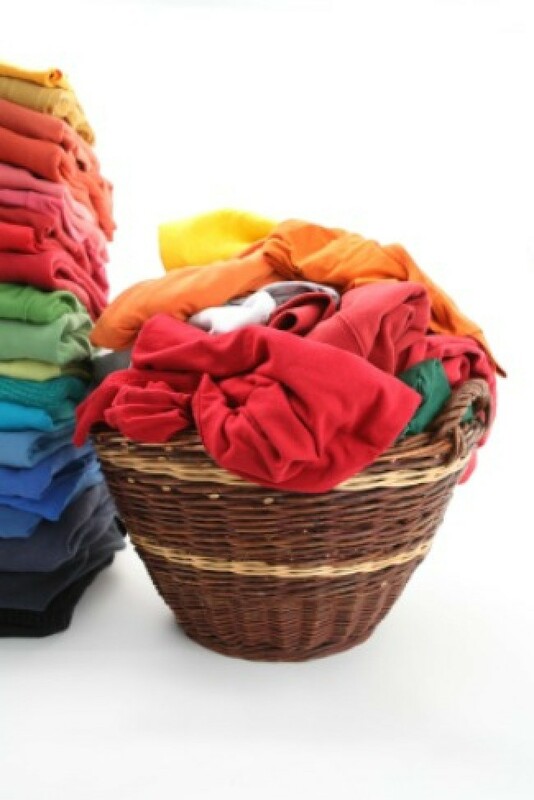 Polyester-type fabric is notorious for picking up lint: you might consider washing your non-cotton items separately, cold water wash and rinse, dry for a few minutes to remove any wrinkles, and hang dry. Is is actual fuzz or just fuzzy looking? LOL. Could be residue from your detergent or fabric softener possibly. Do you use powdered laundry soap or possibly too much? Maybe you need to wipe down the inside of your washer and/or dryer before you do a load of darks. Every washer can benefit from a cleaning cycle of vinegar and water to get rid of detergent build-up on washing machine walls every now and then. You could also try turning the garments inside out so the markings would at least be on the inside of the clothing. I am with the poster below on washing them separately. If your clothes are partly cotton the fibers tend to "bloom" when over-dryed. Try taking things out of the dryer before they are fully dried to avoid this. The color (not just black) will be richer than if fully dried. If wetting it down gets rid of it, chances are this is what is happening. What I do when I wash dark clothes is turn them inside out. Also, make sure you use liquid detergent so it gets mixed well. Hope this helps. When I have had this problem, I discovered that by using less laundry detergent (you will be amazed how little it really takes to get clothes clean and fresh) and not washing as many clothes at one time, I was able to alleviate the problem completely. My problem was too many suds and too many clothes; the clothes couldn't circulate enough to rinse the suds out of the folds of fabric efficiently. Rinse black clothing by adding some vinegar in cold water and drip dry. Vinegar added during rinse? Or with first wash? You might be overloading it. Also, always manually set the water level too, and avoid auto. All it is, is undisolved soap powder by the sounds of it :) good luck. Do not use fabric softener sheet like bounce,gain or downy especially for dark colored clothes. Every time I take a load of clothes out of the washing machine, they come out with fuzz balls all over them. What is the problem? overloading your washer - Too much laundry soap, especially the powdered kind - too much softner -hard water - washing unlike clothes together, i.e. towels or socks with sweaters, dark clothing with light -make sure to turn clothes inside out before washing. Wash like fabrics & like colors together -make sure there are no tissues or paper products in pockets - make sure washer tub is wiped down. Liquid detergent works best, if using powdered type make sure it's thoroughly dissolved before adding laundry. What mix of fabrics are you washing together? Are you stuffing your washer or leaving room for them to actually move in the agitation cycle? Acrylic fibers in your clothes will fuzz almost immediately. Try to avoid clothes with acrylic in their content. One of two things happened. Either you had too many pieces of clothing in the wash load or your washer's lint trap needs cleaning. You'll most likely need to re-wash your load of clothes. I never knew washers had lint traps! Where is the WASHER'S lint trap? I didn't know there was such a thing??? I want to know where the lint trap is!!!? This happens all the time to my clothes and we never fill the washer up. My husband has a company shirt with an iron-on logo. Behind the logo is a white fabric where it's stitched. I wash it with the proper colors, however the shirt is always covered with white lint. How can I wash it without the white lint getting all over the shirt? I have a new wool sweater that gets lint all over the shirt I wear under it. Any suggestions to stop this? After washing my clothes small particles like cotton appear on the clothes mainly on dark colour clothes like dark blue or black. How do I keep lint from getting on my clothes in the washing machine? I am having problems with lint in my washing machine. My old machine had a lint trap, this new one does not. when I pull out my laundry it's covered in lint. The clothing I dry isn't a problem, it'll come off in the dryer, but the shirts that I hang to dry aren't even wearable. I have to rewash them. I separate my wash, and I don't overload the machine. What do i need to do? I have some pants and jacket that are 96% cotton and 4% spandex in black and they seem to attract every little piece of lint in the world! I love them and want to wear them but every time I do I'm reaching for my lint roller. I have tried static guard and fabric protector but they have not worked? I'm stuck, can anyone help me with a tip? Put your black items in a black cloth bag (die a pillow case if you have to) then throw the whole shebang into the washer - Presto!- clean stuff without the lint!